Our theatre group is here to create some new ideas in theatre. Over the years we look to take our viewers to see some of the most important plays. We believe everyone deserves their experiment. At last our goal is to perform our productions for the sake of peace and freedom worldwild. Peace theatre group built in 1998 by iranian director kambiz asadi. It countinued its work till june 2000 when asadi staged a production of "Endgame" by samuel beckett as his first experience on open stage. 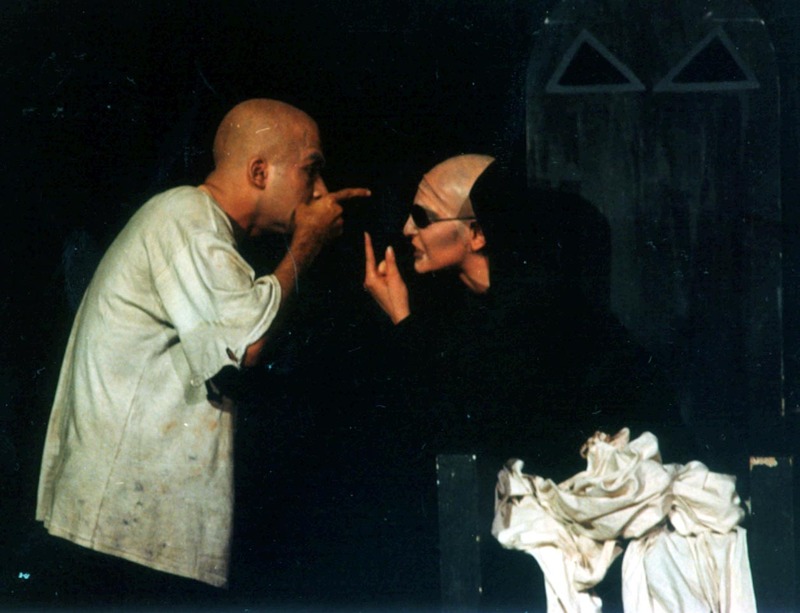 The second production of Peace theatre was a new version of the same play, staged at "city theatre" of tehran in april 2001.At the same year, peace theatre desided to stage a new production of two plays also written by beckett. The production got ready containing "Not I" and "Come and go", but iranian cencorship authority halted it. By the time peace theatre is getting ready for two other productions,"The maids" written by jean genet to be directed by k.asadi and "Three hard humors with death" written by kambiz asadi to be directed by zahra shayanfar.